Designed to represent the connection between all life on Earth, this iconic Tree of Life pendant is exquisitely crafted in sterling silver and 9ct rose gold. All Clogau Welsh jewellery contains a touch of gold mined from the Clogau St David's gold mine - the very same gold used in generations of royal jewellery. 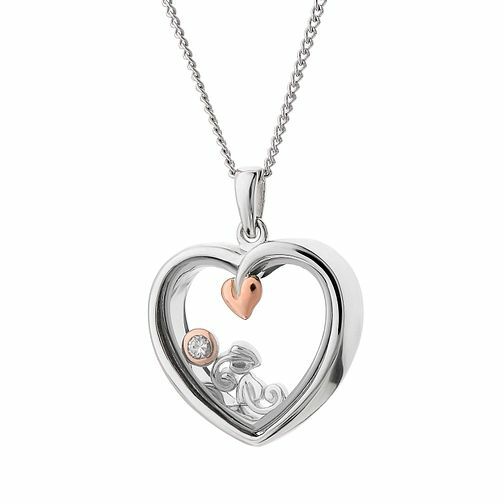 Clogau Tree of Life White Topaz Pendant is rated 5.0 out of 5 by 1. Rated 5 out of 5 by Anonymous from Perfect birthday present Purchased the pendant as a 60th birthday present, was very pleased with the quality and the delivery service that I got.